A day after the noisy midnight celebrations on Lakshmi Puja night, the festival of lights celebration goes on for the next two days. Well, the families and friends meet each other, feast on delicious meals and have a relaxing. But for the North Indians, it is not an exception. They celebrate Govardhan Puja with zeal and enthusiasm. Govardhan Puja is celebrated just a day after Lakshmi Puja in North Indian states like Punjab, Haryana, Uttar Pradesh, and Bihar. This festival is an occasion to worship Lord Krishna and Govardhan Parbat. It is to commemorate the heroic act of lifting Mountain Govardhan, a tiny hillock near Braj, by Lord Krishna. 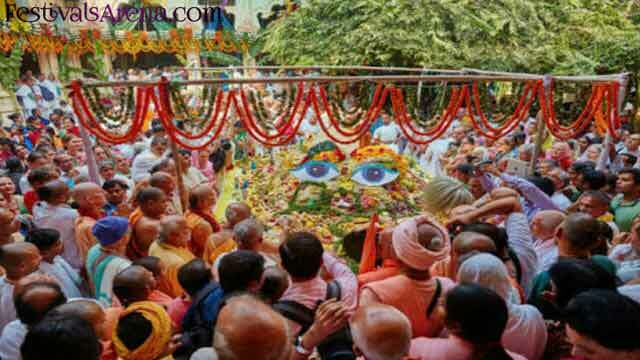 What is The Legend Behind Govardhan Puja? 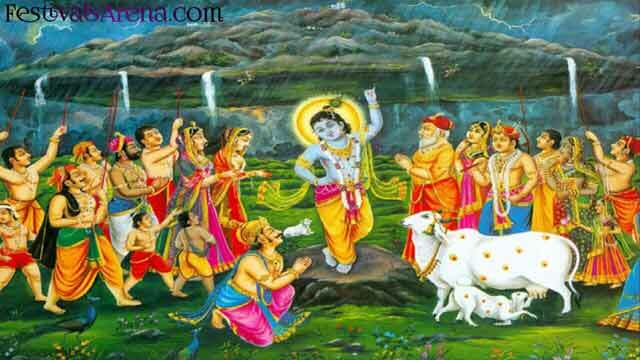 According to India's ancient Vishnu Puranas, it is believed that the people of Gokul celebrated Govardhan Puja in honor of Lord Indra the Rain God at the end of every monsoon season. During the growing days of Krishna, he inspired people to inspire Indra to overcome his divine supremacy. Avenger Lord Indra wanted to show his power over Krishna and brought the storm of rain which sends shivers to local people. But Krishna assured him that he would not be hurt. Krishna, miraculously, He lifted Mount Govardhan with his tiny little finger and sheltered men and beasts from the rain for seven days. This gave him the epithet Govardhandhari. After this, Indra accepted the supremacy of Krishna. While the whole nation was busy bursting fireworks the night before, staunch believers of Lord Krishna, particularly in Mathura and Nathdwara, in Uttar Pradesh, stay awake the whole night preparing 'bhog' (religious meals) of over fifty-six or hundred and eight types of food. The meals range from all kinds of Indian vegetarian menu like cereals, pulses, fruit, vegetables, chutneys, pickles, and salads This religious ceremony is called as 'Annakut' meaning 'mountain of food'. Here, both men and women, prepared with love and devotion to the favorite meals of Lord Krishna. The deities are bathed with milk and are attired in shimmering attires embellished in dazzling ornaments like diamonds, pearls, and rubies. Then they are worshipped, offered prayers and bhajans are sung melodiously in praise of Lord Krishna. Delicious sweets, fruits, and eatables are ceremoniously raised in the form of a mountain before the idols. After the prayers, the prepared meals are distributed as prasad. In-country regions, there is s a convention of building cow compost hillocks, which symbolize the Mount Govardhan. In the wake of making such hillocks individuals enhance them with blooms and afterward revere them. They move around all around the dairy animals manure hillocks and offer petitions to Lord Govardhan. In any case, in different parts of the nation, where fans think that its difficult to visit Krishna Temples, they celebrate in their own specific manner at home. They offer endowments to Brahmins and look for his blessings. Cows and bulls are also decorated and worshipped.